Bryan O - Killer Blue!!!! 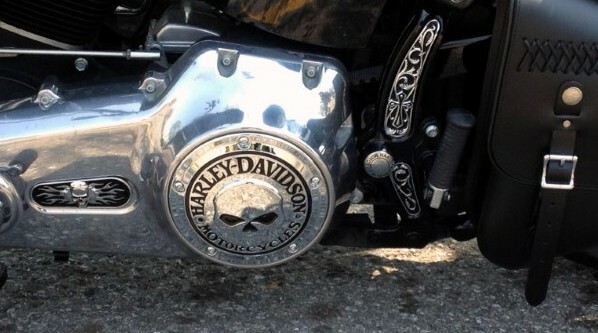 Send us a photo of your bike with our inserts and we'll post it here! Our gallery is shaping up! Here's an interesting use. 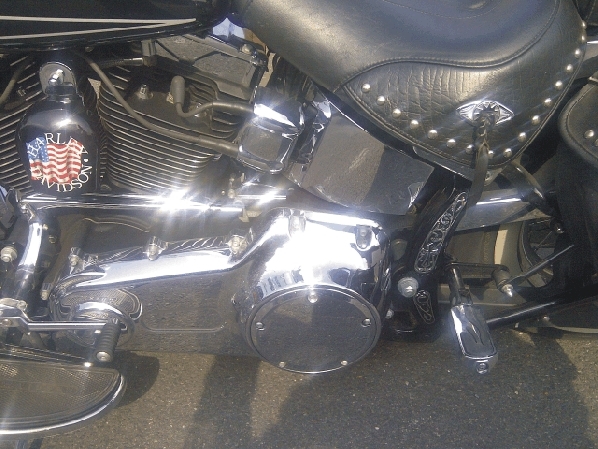 Our Indian Skull Horn Cover mounted below another aftermarket horn cover! Christian from Germany. Pat C from ND - Indian Special Covers!! David R from Canada! Sweet Inspection Cover Insert and Frame Inserts! Karen from AL. Sweet 2007 Deluxe! What inserts? John P from Oz had the good sense to change inserts - and hopefully that's all! Eric R from Belgium - Very Nice! Greg H from WI - 2011 Fatboy Lo! Arnulfo G from TX -Sweet! LH from WA - 2008 ROCKER! Ross from Canada - Babe Bike!! Look at all the cuties!! Tuija from Finland - Check out that Derby Cover! K.D. Cox MD from MO - One Bad A** Fat Boy! Read K.D. 's review under the Skull & Flames product page! Ginna from NY - " I absolutely love them. I have gotten many compliments on them." Read Ginna's review under the Cross product page! Gary from CO - Sick, sick, sick - 'nuff said! Wait, read Gary's review under the Skull & Flames Complete Set page! Al from NY - The Train is here! 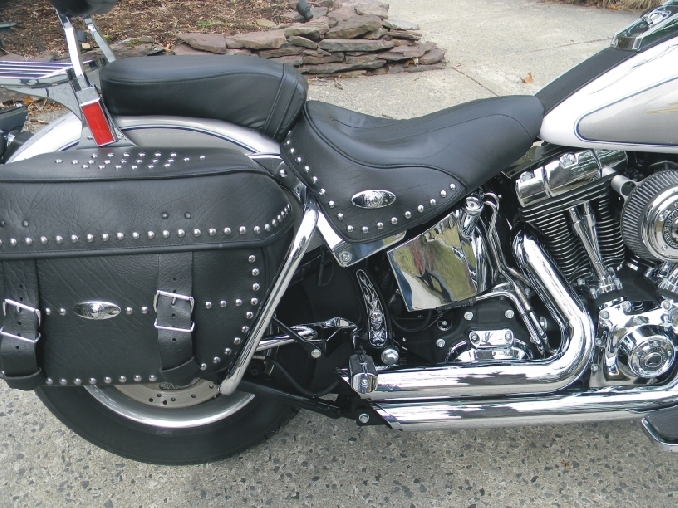 2005 Night Train - Read Al's review on the Skull & Flames product page! Check out those lower inserts! Michael from CO - The Cutie takes a ride! Sweet!! Terry from IL - Nice Bones! 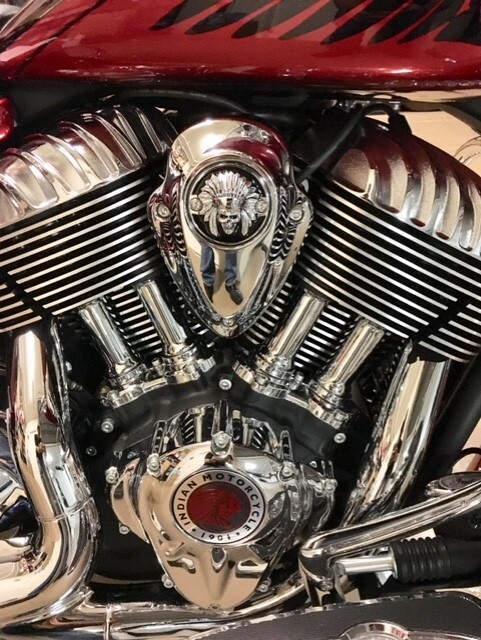 Read Terry's review under the Skull & Flames product page! 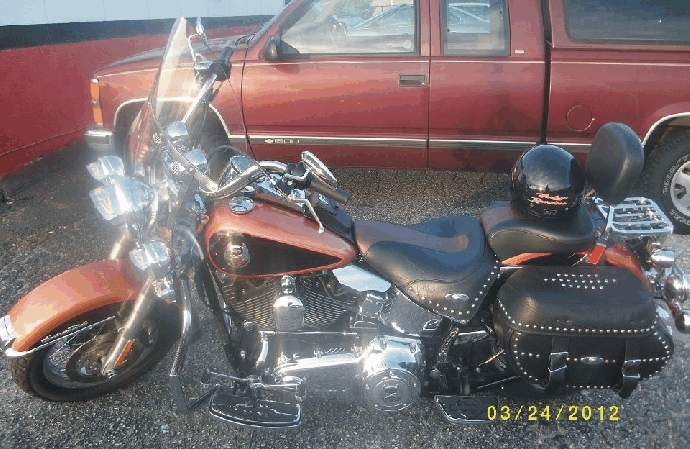 Den from MD - Photos of Softail Cultie on my 08 Deluxe - They look AWESOME - his words-not ours. 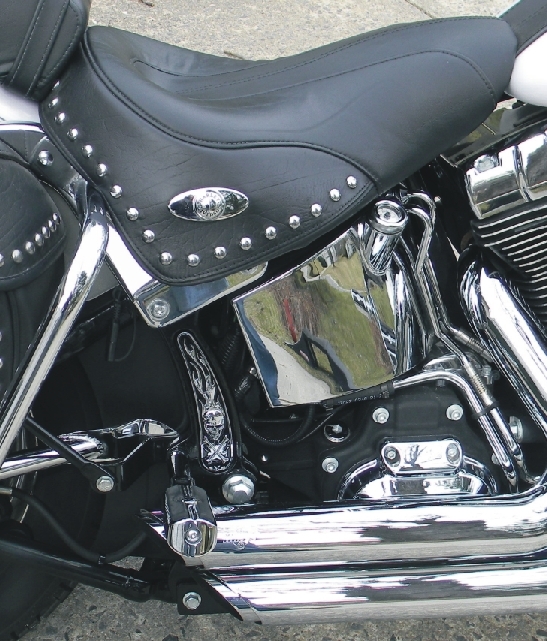 Read Den's review under the Softail Cutie product page! Jerry from Pennsylvania - Read Jerry's review under the cross product page! Bike looks sharp! Read Sandy's review under the skull and flames product page. Looking good Sandy! Anthony from Virginia - 2008 HD Check out his review under the skull and flames product page.